Both functional and fun, these wall hooks double as art for blank walls when not being used to keep the kids’ stuff off the floor. Wall hooks have come a long way from being a lone nail protruding from a wall. Eames certainly led the charge in making wall hooks look like art, and these houses are a contemporary take on the theme. 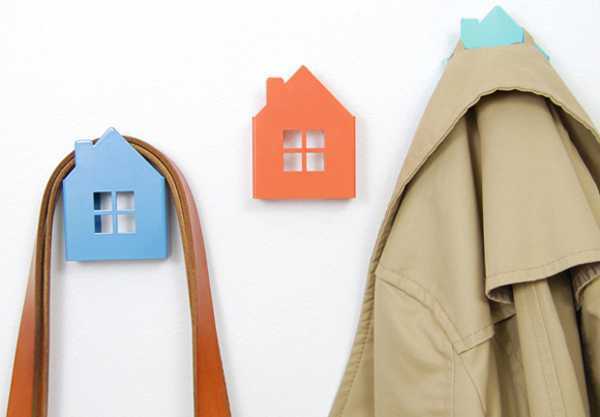 The House Wall Hooks are designed by New York-based Luez Design and Play, which creates modern products for kids. They’re made from powder coated sheet metal, and come in mint, coral pink and blue with all the hardware necessary to attach these houses to yours. They cost US$24 each, or US$65 for a pack of three, from Luez Design and Play.